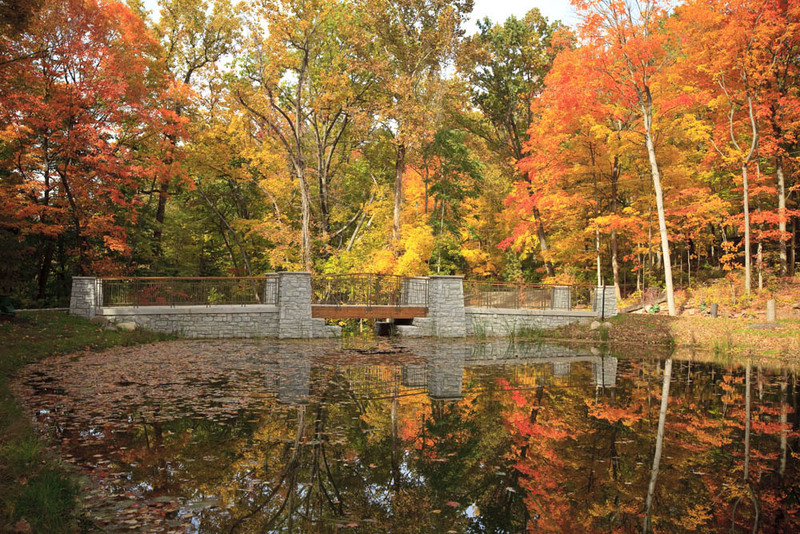 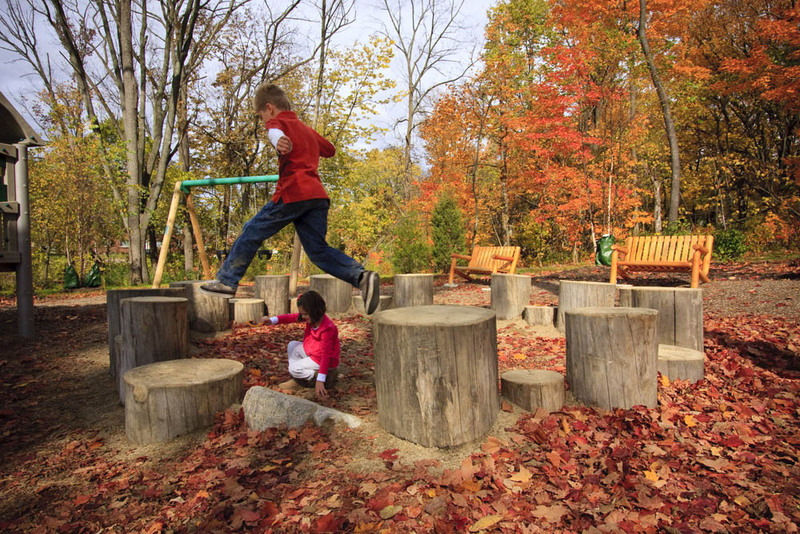 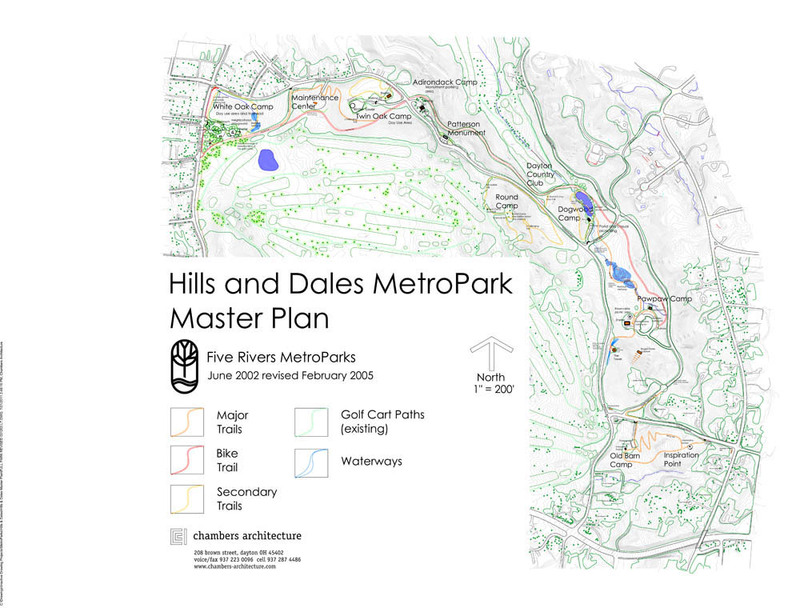 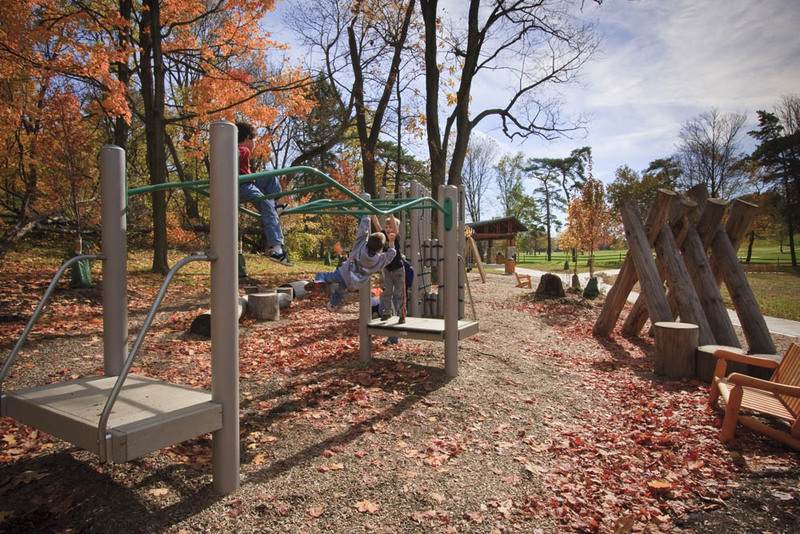 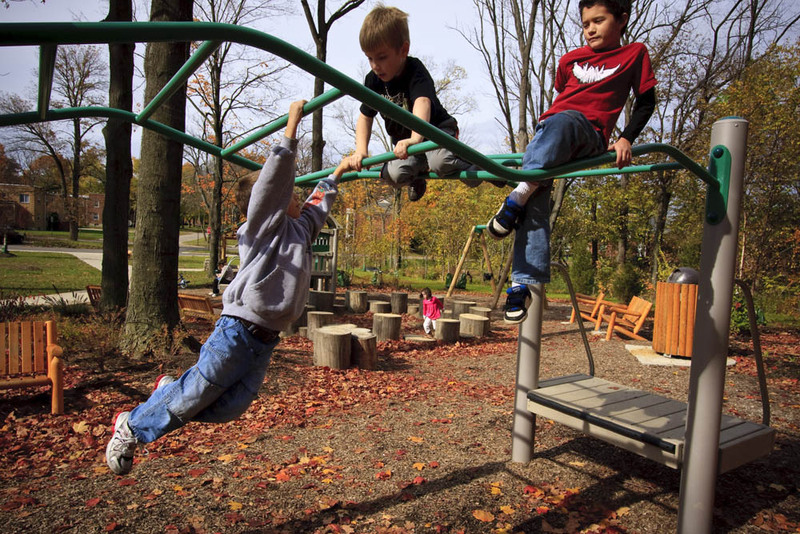 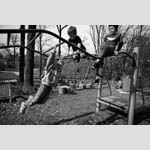 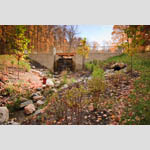 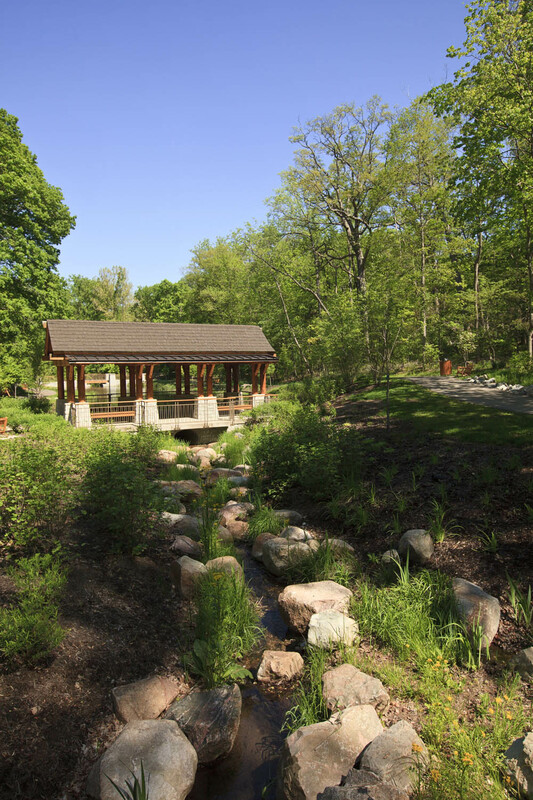 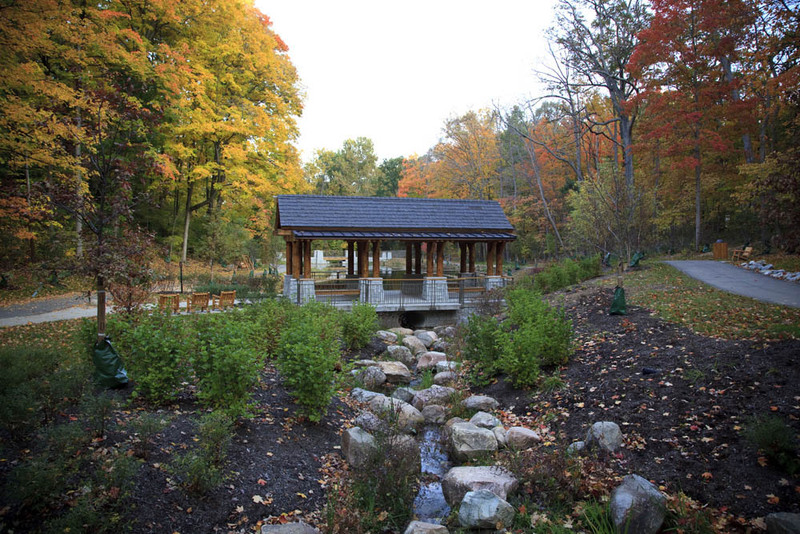 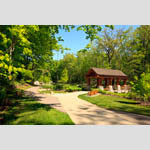 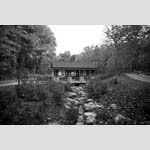 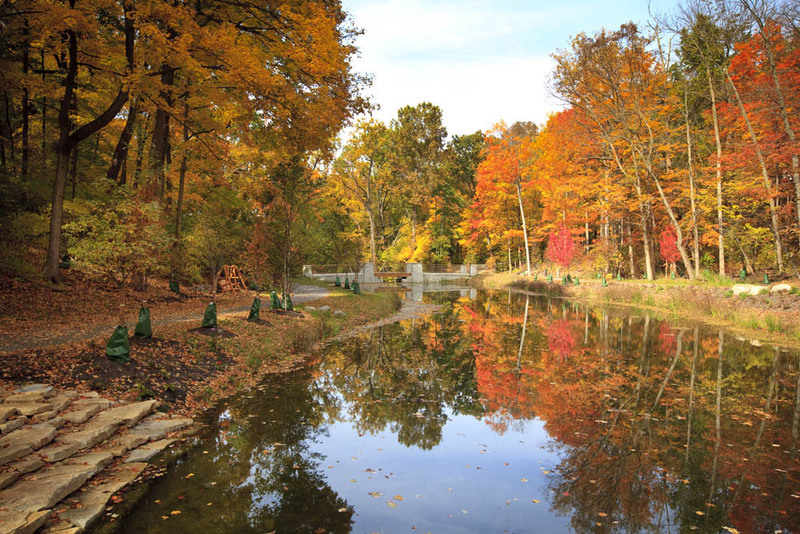 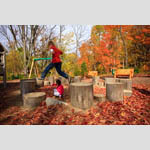 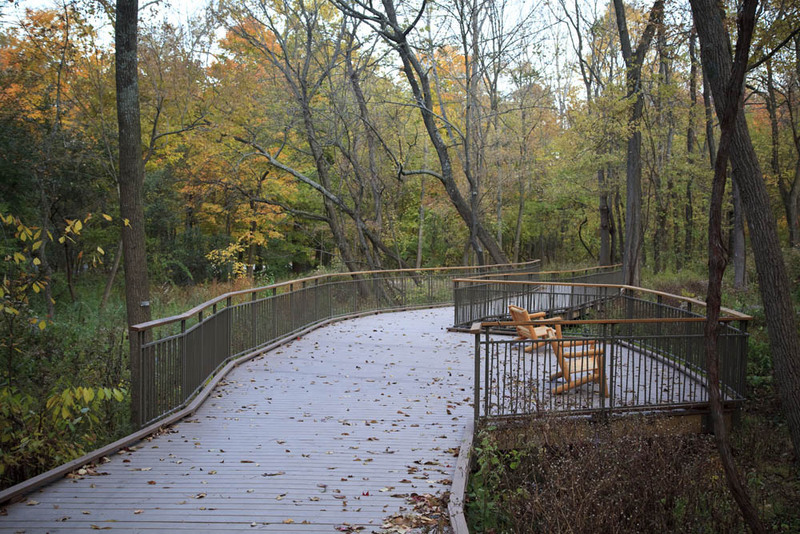 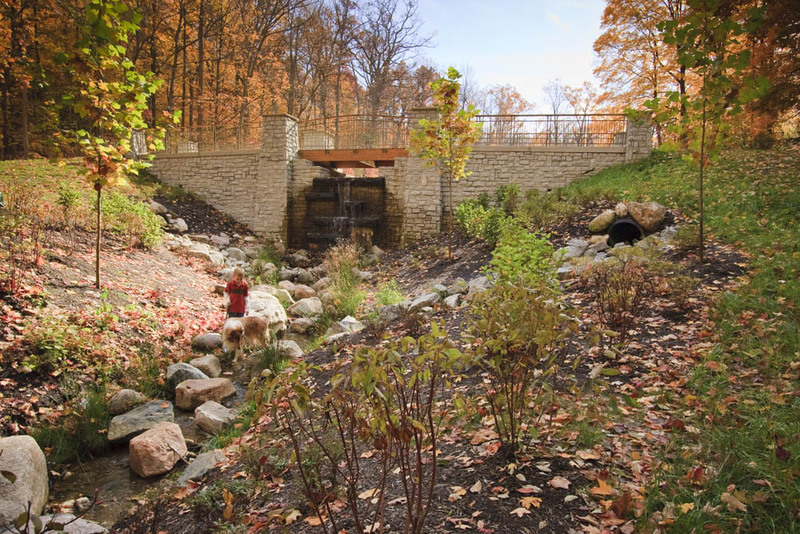 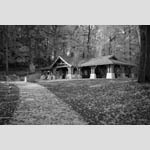 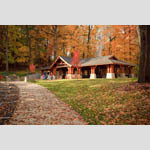 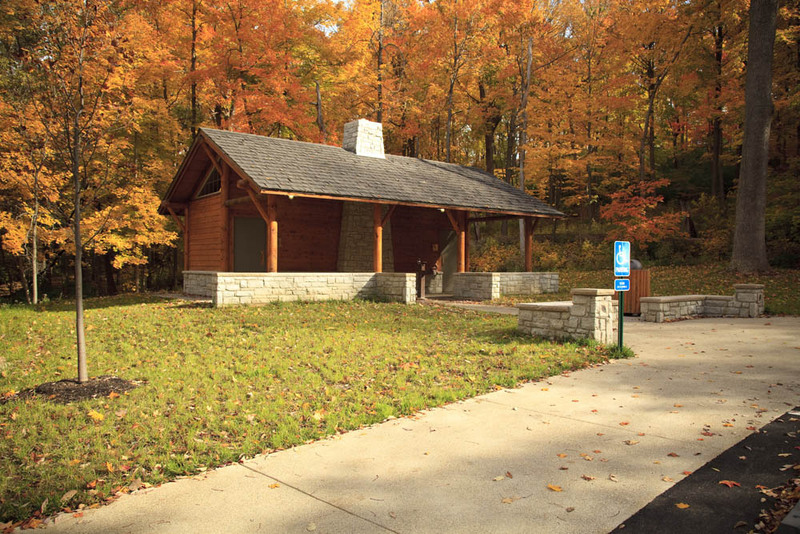 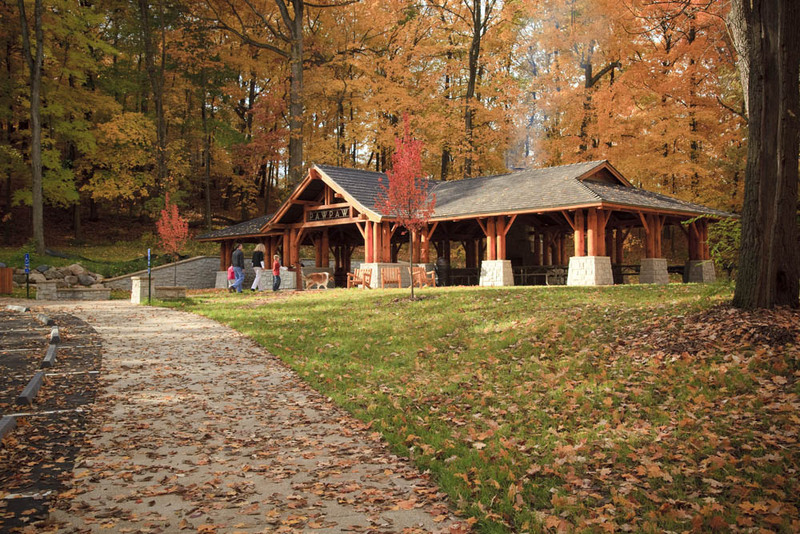 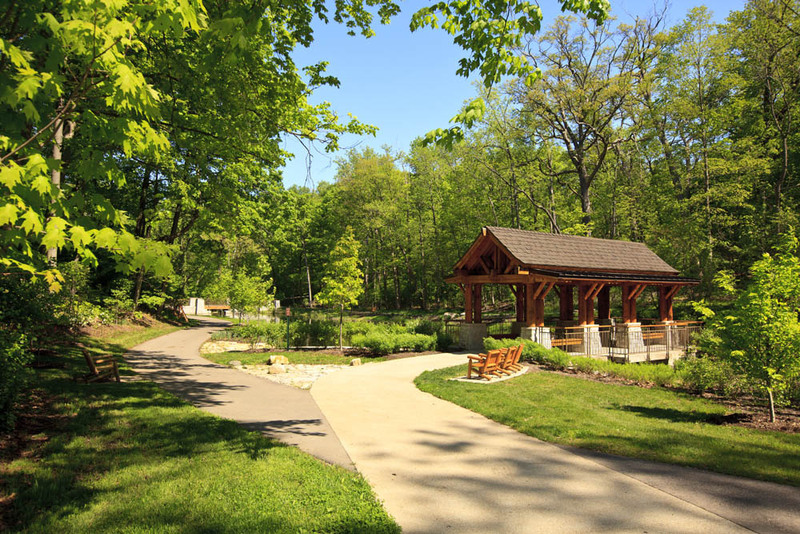 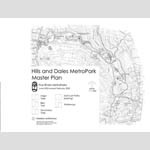 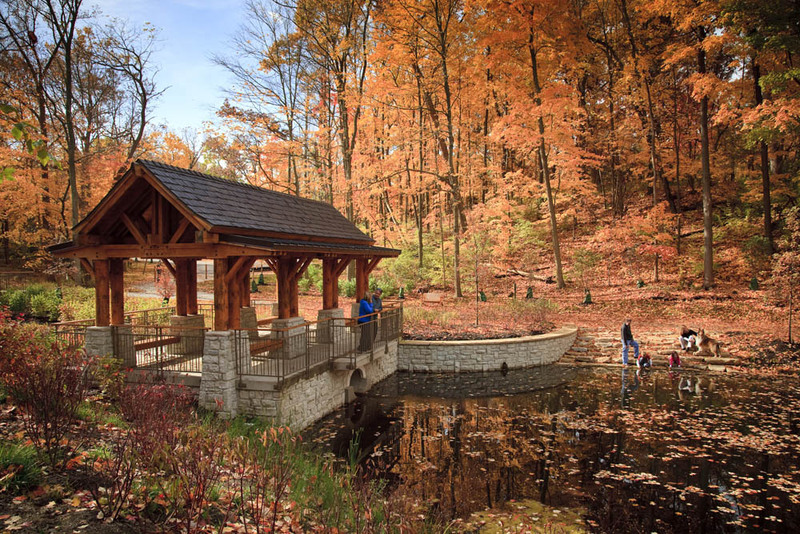 The renovation of Hills & Dales MetroPark, a 63-acre historic urban park, sought to modernize the park while maintaining the rich historical legacy of the site. 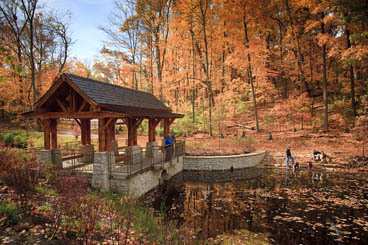 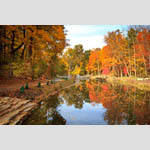 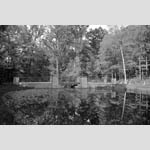 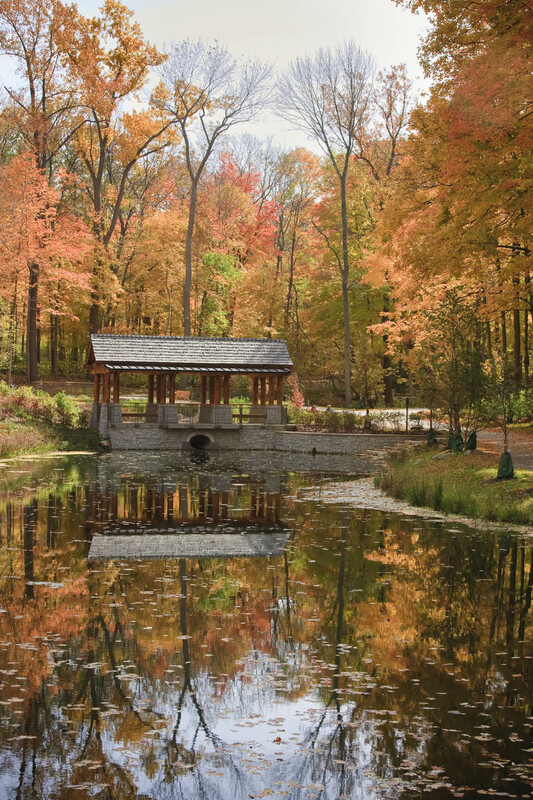 The influential Olmstead Brothers designed the park in the early 19th century on behalf of Dayton civic leader and National Cash Register founder John H. Patterson. 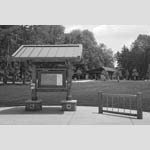 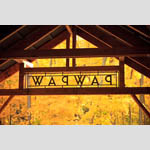 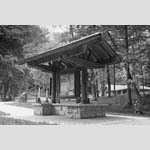 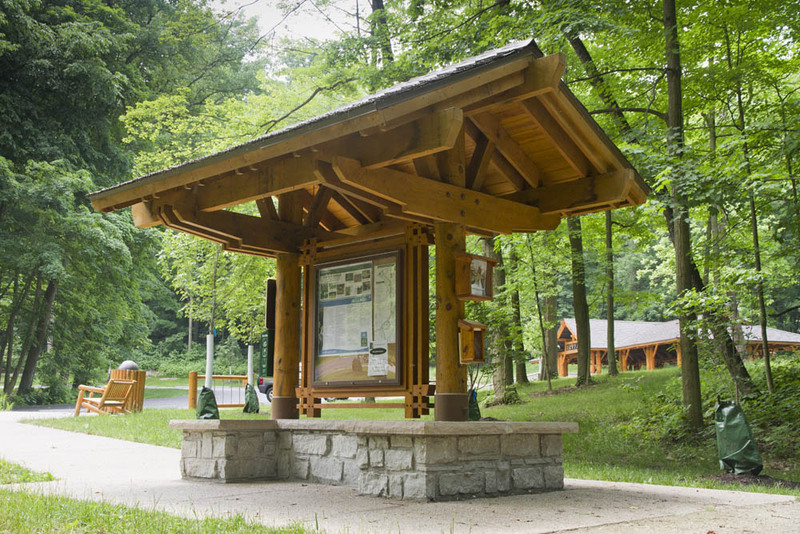 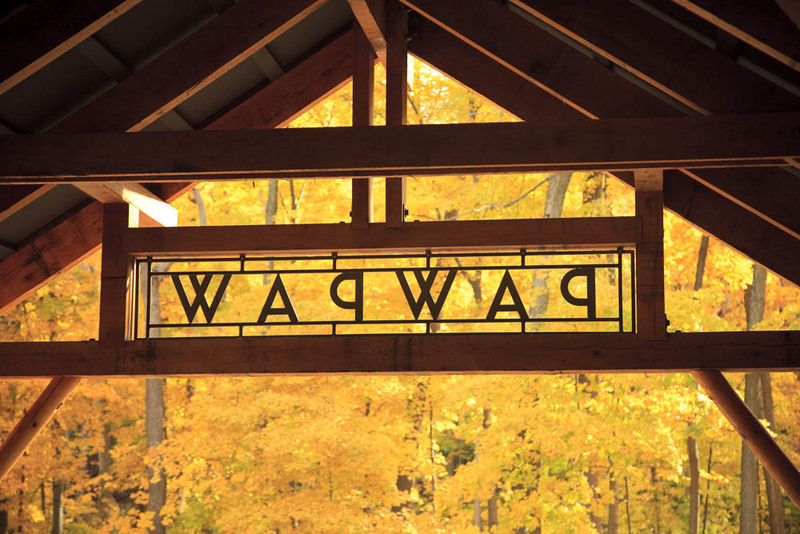 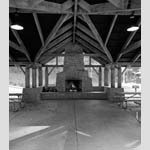 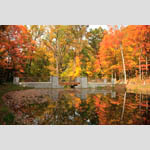 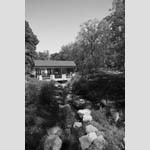 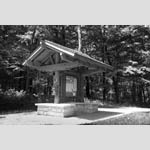 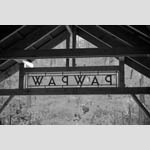 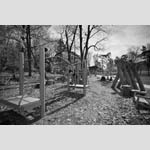 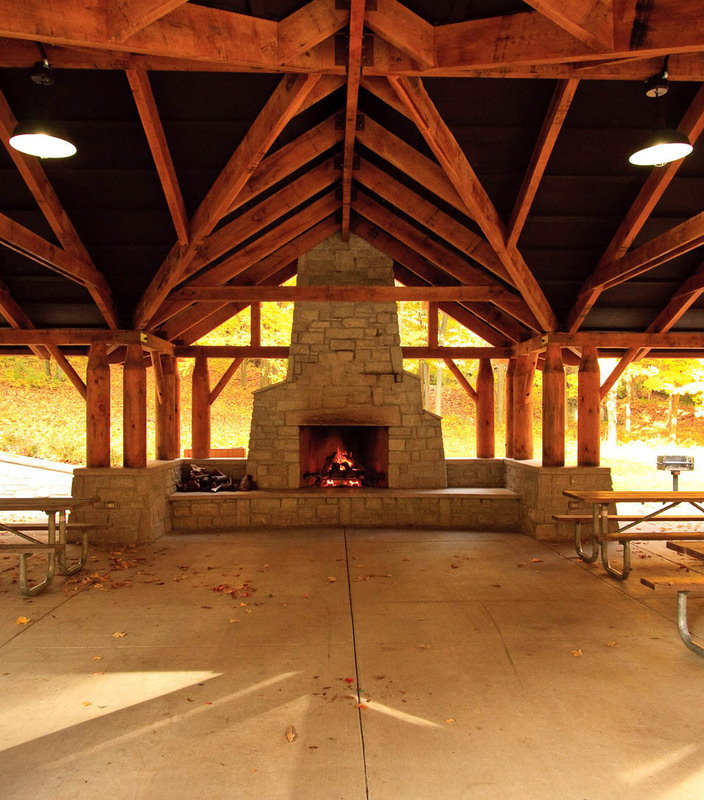 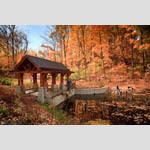 The design of the new structures was based on careful interpretation of historic photographs, sketches and descriptions of the original Adirondack style park structures. 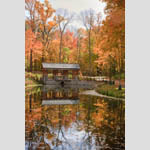 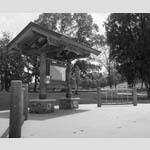 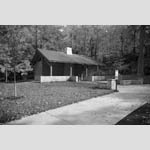 That style is now restored throughout the park with the addition of three new picnic shelters, an elevated boardwalk through a wetland area, a new pond with meditation shelter and combination bridge/dam, a new playground, new trailhead structures and two new restroom facilities. 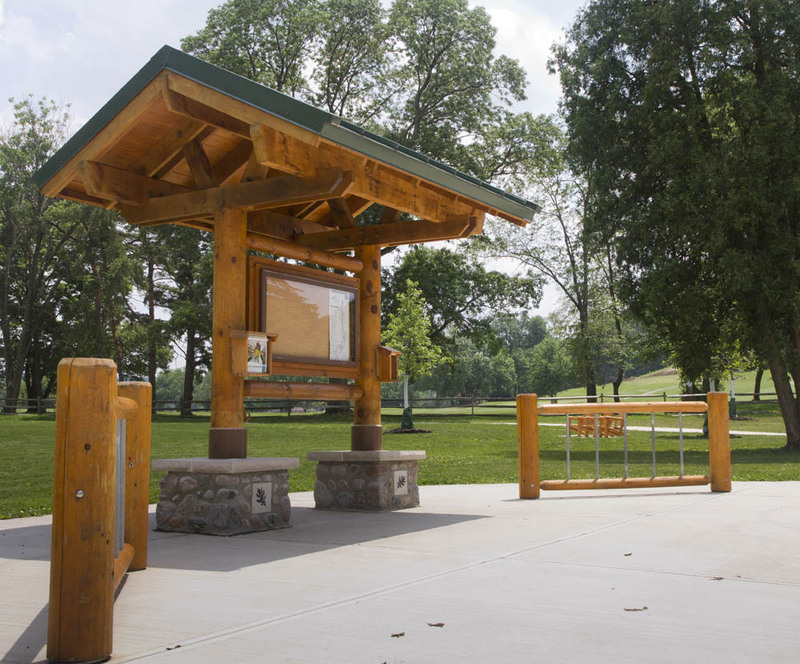 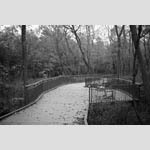 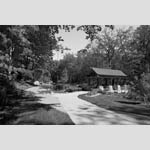 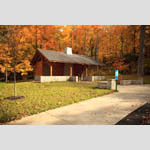 The infrastructure of the park was enhanced with upgraded trails, roadway and parking lot improvements, new utilities, and paved wheelchair accessible pathways. 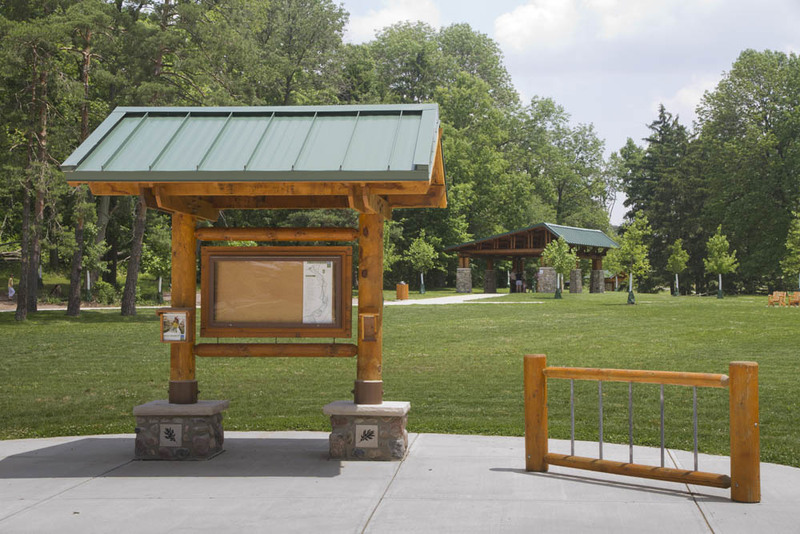 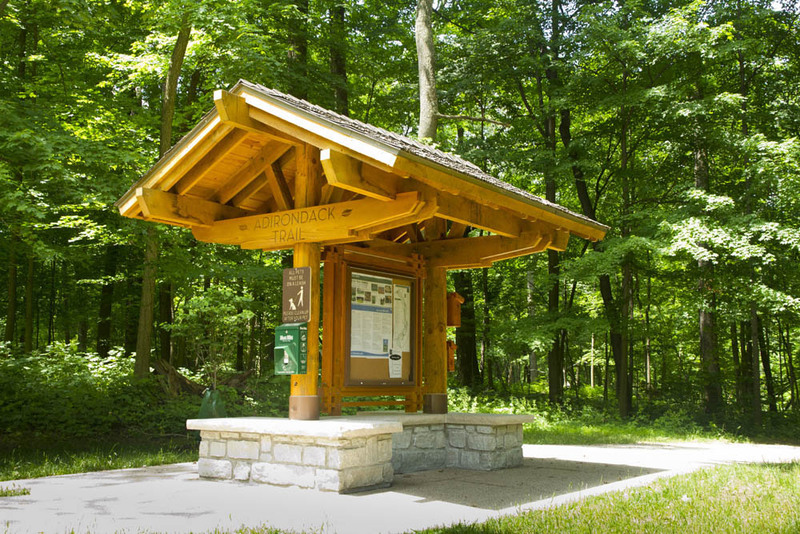 The renovation was a collaborative effort among Chambers Architecture, Human Nature, Barge Waggoner Sumner & Cannon, and Five Rivers MetroParks. 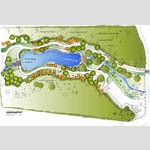 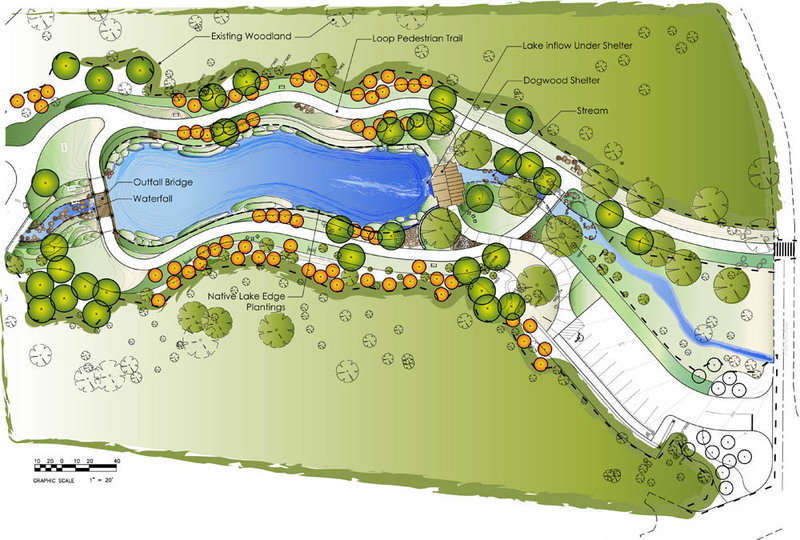 With the exception of some of the hiking trails, the entire project is wheelchair accessible.